One of the commonest reasons why moving with toddlers is difficult is that at some point in time, they may not be watched over by an adult. As a result, they are likely to end up harming themselves, such as by ingesting poisons or generally putting themselves in dangerous situations. You can reduce the risk of this happening by making sure that you have someone watch over them at all times during the move. If there is a lot to be done, you could even consider splitting duties. For instance, one adult could sort out the major issues such as packing all the items, and you could then have another adult taking care of the baby while handling lighter duties. This way, you can get more done without putting the baby at risk. One of the problems you are likely to face during moving is the fact that you will need to put a lot of stuff out in the open. For instance, you may have to empty your drug cabinets, so that you can then put them in boxes for transportation. This provides a window period during which the child can easily get hold of items that can harm them, such as poisons that look colorful. This means that if you have a toddler in the house, you should consider paying attention to how you go about doing the packing. It’s important that you identify some of the things that will represent a major risk to the baby, and then stow them away in time. This way, even if you momentarily take your eyes off the baby, the chances of them harming themselves will be minimal. The other option you could try out is letting someone else do all the legwork associated with moving. This involves finding a high quality moving company that will not only do the moving for you, but will also pack and unpack for you as well. The major benefit of subscribing to such services is that it takes a load off your back. If you have a very young child, you will find that taking care of them will be very demanding particularly if they are a first child. 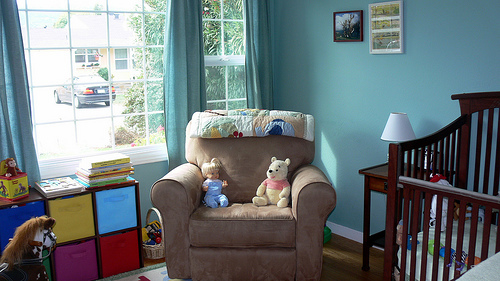 Having someone handle all the nitty gritty details about moving will help you focus on the toddler instead. If you are moving with the baby over a long distance, you need to be more careful in making the travel plans. Consider the fact that they will need more attention from you when moving. They are likely to be cranky and will get tired fast especially since they will be in an environment they are not used to. To prevent this, you might need to invest in a few games they can indulge in especially if the trip is very long. Also consider finding a comfortable means of transport as well. For instance, if your items are going by road, you could consider flying with the toddler. This reduces the total transit time for them, allowing them to be more comfortable. Before moving with a toddler, it’s always good to make sure that you are moving to an area where they will have an easy time acclimatizing. You should scout the area to find out more about the local playgrounds they can attend, as well as a pediatrician who can be designated as their doctor. You may even need to have their health records transferred to the said doctor as well. In summary, moving with a baby is often considered to be an additional strain to the process of moving. The above are some of the important ways in which you can minimize the difficulty associated with the process. The key thing to remember is that when moving with babies, you need to have a very solid plan regarding the entire process. Of course, when you work with reliable residential movers in Toronto, your life can be made easier!